Steve Jobs Knew the Benefits of Walking Every Day. Do You? Why did people like Beethoven, Goethe, Dickens, Darwin, and Steve Jobs take long walks, and why should you too? Well, obviously, because walking comes with plenty of mental and physical benefits. Steve Jobs used walking in many different ways — to exercise, think, solve problems, find inspiration and meet other people. And Apple founder is not the only great figure to have discovered just how powerful walking every day can be for your creative side. Regardless of whether it’s a 5-minute or an hour-long walk, this simple activity has inspired many to write, compose, paint, and simply to create! If you think about it, we probably wouldn’t have been able to enjoy everything we have today had it not been for as simple an activity as walking. Not only do successful people believe that they had their best and most effective ideas when they were moving their body, but there’s an actual scientific study that lists creativity boost as one of the walking benefits. In 2014, Stanford University found that people are much more creative when they are walking compared to when they are still. Marily Oppenzo and Daniel Schwartz, who led the research, studied 176 college students as they completed certain creative activities. While the specific reason for why walking makes one more creative and can even make you smarter has not been pinpointed, it has been established that this activity increases the circulation of blood throughout the body, including the brain, which improves the creative thinking up to 81%. This study demonstrates just how beneficial walking can be in the world of business and entrepreneurship. Therefore, if you’re finding trouble with focusing on your work while you’re sitting at your desk in the office, don’t hesitate to stretch your legs a little and take a walk. As mentioned, it doesn’t matter if you can’t walk for more than 5 minutes. Changing the scenery and getting physically active a bit will undoubtedly help with idea-generating tasks. Have you heard? Sitting is the new smoking. Sedentary lifestyle that these days usually involves both our work and free time leads to many health issues in the long run. Actually, the most obvious one — weight gain — is only the tip of an iceberg. Sitting all day can lead to heart problems and increase the risk of cancer and dementia considerably. However, just 30 minutes of walking every day can be incredibly beneficial for your health. But, we are all aware that sometimes there simply isn’t time to walk for half an hour, especially with all the work responsibilities you have. This is why Steve Jobs often had his meetings on the walks he took every day. And even if company meetings aren’t your biggest concern but you still have trouble taking 30 minutes of your day to just walk, the solution is very simple — it’s not 30 minutes straight or nothing! You can easily split your walking time into chunks during the day. In that respect, you can walk for 10 minutes in the morning, 10 minutes after lunch, and 10 minutes after you have dinner or before bed. Walking every day also means that you’ll get out from your safe and familiar four walls and the addiction that’s Internet and technology. Of course, the Internet and tech may be crucial for your work, but that doesn’t mean that you have to become a slave to them. Moreover, this certainly doesn’t mean that you should sacrifice other things in life that don’t actually require the use of these things. Changing the scenery and setting will help you exercise your body but your productivity as well. Unfortunately, such a simple activity seems to be more like an uncomfortable chore to modern people than a relaxing pastime. It’s time to find the harmony and balance between your need for tech and your natural need for moving and open sky. Doing this will allow you to think on different creative wavelengths and improve the productivity module you have going on. Not to mention that one of the rising trends in the business world involves the mentioned walk meetings. This allows the people in question to actually forget about the comfort zone of the closed space, and explore the possibilities of a purely productive, 1-on-1 meeting situation. 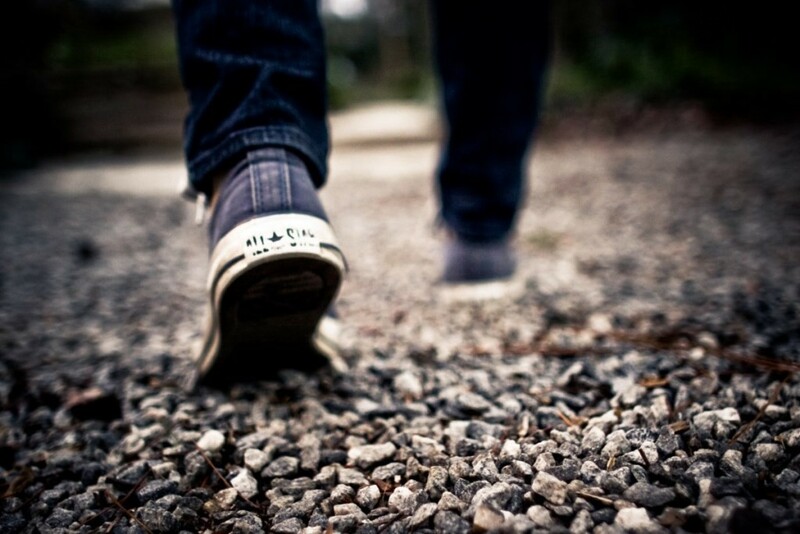 Walking meetings are not just there for the ambiguous sake of boosted productivity. Essentially, this particular kind of setting and atmosphere helps the people in the meeting to completely focus on one another. With the increased blood circulation due to this effective exercise, your creative thinking and idea-generating ability are at their highest. That being said, you can expect to better express yourself in your conversation with your meeting partner. Honestly, this particular technique may not be as effective and obviously beneficial when there’s a whole group of people involved, but it can definitely make all the difference for two-person meetings. Not to mention that meeting with another person without the whole group usually suggests more complex and sometimes even stressful topics. In that sense, being able to relax and focus at the same time can be paramount for the final meeting result. No one is saying that you should copy the lifestyle of others. However, you can definitely draw inspiration and learn more about the healthy and positive habits that lead some of the most significant masterminds in the world to create passionately and beautifully. Steve Jobs requested Walter Isaacson to write Steve Jobs’ biography, where he clearly praises walking as a valuable and beneficial habit that helped him get the most out of his ideas and imagination. But, as you may have realized, different people in different eras were known to do exactly the same. Beethoven, Charles Dickens, and even Mark Zuckenberg (if you’re interested in contemporary figures) all expressed themselves in different areas of art and creativity, but they still practiced the habit of walking. Charles Dickens was known to walk for around 30 miles every day, and while you don’t have to walk that much, you should certainly adjust this activity to your own schedule in order to experience the same benefits that will affect your health, creativity, and productivity. In all honesty, you don’t even have to be involved in a particularly creative job in order to benefit from this kind of a habit. But, if you actually are one of the modern creatives, don’t hesitate to bring the necessary tools with you on your walks; you never know when the inspiration may strike and you’ll need something to record your ideas while they’re still fresh and vigorous in your mind. Creating a walking habit is not just about your professional creativity. Better work performance is obviously great, but there are other benefits to introducing a regular routine into your schedule. Of course, this doesn’t have to be walking per se, but if you think about it, walking will let you exercise, be in fresh air and enjoy nature, while the activity itself is pretty simple, so why not utilize it to the fullest? Basically, the success of the new routine in your life that regular walking can provide you with can positively affect your will and motivation for every goal you may have in your life — both personal and professional. Not to mention that your mood will be considerably better, which seems to be something essential when putting everything you’ve got into things is concerned. A 30-minute walk can modify your nervous system so that the activity actually decreases the levels of anger and irritability. Did you know that walking lowers your blood sugar and blood pressure while it also reduces the risk of stroke? Well, it does. This means that walking half an hour a day is not only your easy ticket to creative thinking but to a healthier life as well. And, as a physical activity, walking will undoubtedly help with getting fitter and shedding some extra pounds. Obviously, walking isn’t magical; if you have more weight to lose you may need to embrace the balanced diet and some additional cardio exercises as well. But, remember the previous point — a routine is beneficial for every goal. In that respect, starting with something as simple as walking may turn out to be the power nudge you’ve been looking for when it comes to taking proper care of yourself. And with that, you’ll get to feel the positive changes as well as see them in the mirror soon enough. Content writer at TechBear, nature and written word enthusiast, avid anime watcher, a Hufflepuff, and a Whovian. Tips, trends, how-tos and all that jazz on topics such as website design, SEO, social media, blogging, WordPress and online marketing.